Among the procedures our dentist offers are cosmetic procedures designed to help improve your smile’s health and appearance. If you need to enhance your smile, San Francisco Cosmetic Dentist Y. Danielle Marquis, DDS, MPH is here to help! 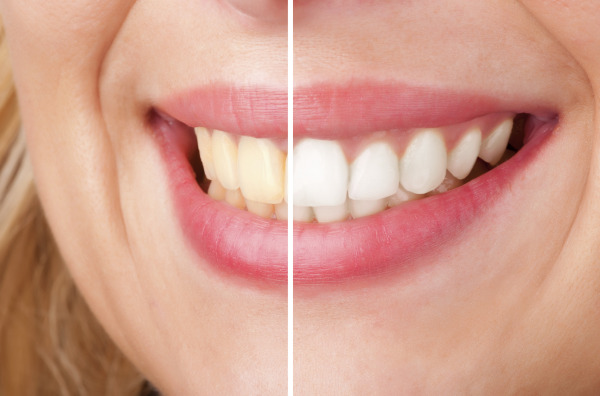 Some cosmetic procedures, such as teeth whitening, are purely for improving a smile’s beauty. However, many other cosmetic procedures Dr. Marquis provides help rebuild the function of your teeth while improving their aesthetics as well. Composite fillings are an excellent example of the restoration use of cosmetic dentistry. These fillings reconstruct areas of a tooth that have been lost to decay while matching the color of the restored tooth. The result is a tooth that looks and functions as well as it did before decay occurred. Similarly, using dental porcelain to construct crowns and other restorations helps strengthen teeth while keeping them beautiful. Our San Francisco dentist can help you receive these cosmetic dental restorations. Cosmetic dentistry can also help patients receive a straighter smile. Often, if a patient had not previously received orthodontic treatment because their alignment needs were mild, or if they had braces but their teeth have since tried to shift back into their original position, they may look into having their smile straightened. Straight teeth are not only easier to clean, but also tend to look more appealing. However, traditional orthodontic treatments utilize large, noticeable brackets and wires; for adult patients and some teens, the discomfort and lack of discretion can be an obstacle to receiving straighter teeth. Our San Francisco dentist has a solution through Invisalign®. A cosmetic alternative to traditional orthodontics, this system utilizes clear aligners to help straighten teeth instead of brackets and wires. Often, our patients who use Invisalign® find it much more comfortable and much less noticeable than traditional braces. The treatment can also be much shorter than metal braces, as some Invisalign patients have completed their treatment in one year rather than two. Through this cosmetic dentistry alternative to standard orthodontics, patients can receive their best smile. Y. Danielle Marquis, DDS, MPH can help you receive a more beautiful smile through cosmetic dentistry. For more information, or to schedule an appointment at our San Francisco dental practice, contact us today!